Giclee prints available - click here! 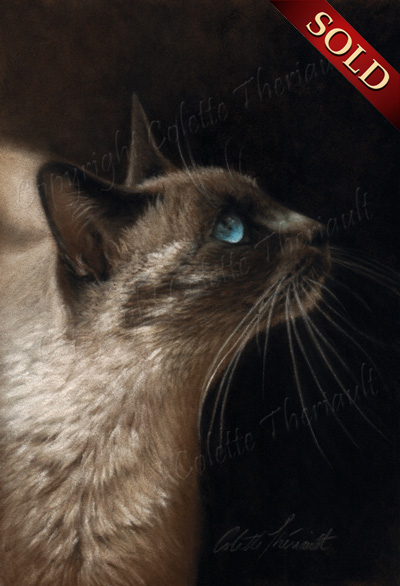 This is painting of a sweet rescued Siamese cat I photographed while visiting at a friend's house. I did not use the photo as it was but rather, I cropped most of the body out and enhanced the contrast and detail of the cat's fur. The actual painting is more dramatic in real life as the detail, contrast and shimmering effect of the pastel pigment are so much more apparent.